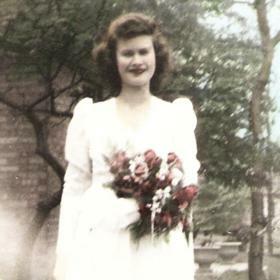 Surrounded by her loving family, Ellen M. Stauss, age 90, passed away Monday, July 30, 2018 at Aurora Medical Center, Kenosha. She was born in West Allis, WI, daughter of the late Henry and Cecila (Nee: Kavage) Kersky. During World War II Ellen proudly served with the United States Cadets Nurses Corp Program. Later as a dedicated Registered Nurse, Ellen was employed by St. Mary’s Medical Center for twenty-five years. 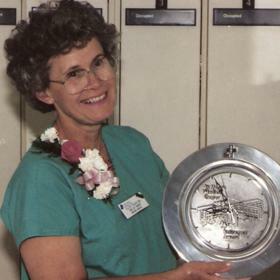 In 1982, Ellen was a founding member with eleven other nurses for Wisconsin Society Post Anesthesia Nurses (WISPAN). She was the first Secretary and with three other nurses wrote the first by-laws that laid the foundation for WISPAN that still stand today. 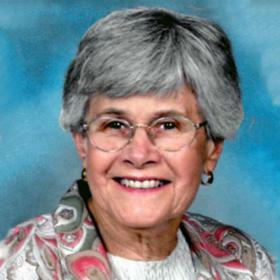 She was a longtime member of Sacred Heart Catholic Church where she served as past president and secretary of the Christian Mothers Association, treasurer, and was actively involved with their blood drives, community meals, and funerals. Above all Ellen loved and cherished time spent with her family, with whom she dedicated her time as a Girl Scout leader, Cub Scout Leader (with four sons becoming Eagle Scouts), 4H leader, and the best Mom a child could ask for. She will be dearly missed by her seven children, Robert (Jill) Stauss of Mt. Pleasant, Mark (Deanne) Stauss of Silver Lake, Patricia (Jeffrey) Abraham of Onalaska, Jeffrey (Terrie) Stauss of Elkhorn, Stephen (Cheryl) Stauss of Caledonia, Mary (Daniel) West of Fort Atkinson, and COL. (Ret.) Thomas (Jeannette) Stauss of PA; 15 grandchildren; 18 great-grandchildren; nieces, nephews, other relatives and many dear friends. 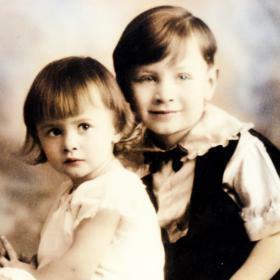 In addition to her parents she was preceded in death by her brother, David (Carmen) Kersky. A Mass of Christian Burial will be celebrated, Monday, August 6, 2018, 11:30 A.M. at Sacred Heart Catholic Church, 2201 Northwestern Avenue. Private interment will be held at St. Michael’s Cemetery, Berlin, WI. Relatives and friends may meet with the family Monday at the church from 9:30 A.M. until 11:15 A.M. 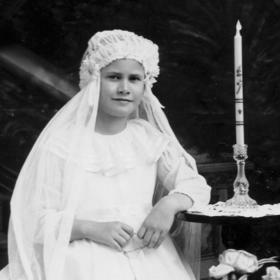 In lieu of flowers, memorials to EWTN (Eternal Word Television Network), 5817 Old Leeds Road, Irondale, AL, 35210 or to the family for a memorial to be established have been suggested. The Stauss family would like to thank the Aurora family for all the devoted and compassionate care given to our Mom.